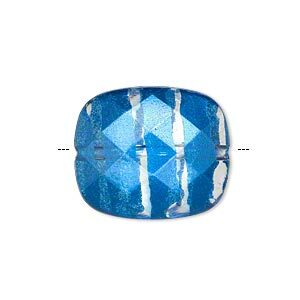 Bead, painted acrylic, semitransparent clear and blue, 23x20mm faceted rounded rectangle. Sold per pkg of 40. Acrylic beads each have a painted semitransparent blue layer on the surface. 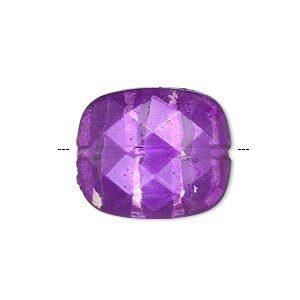 Brightly colored acrylic beads are a lightweight alternative to glass beads. Coating will vary from heavy to light. 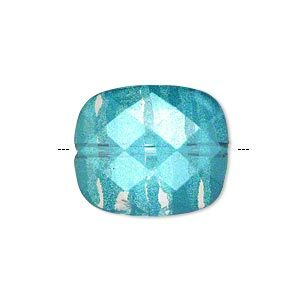 Bead, painted acrylic, semitransparent clear and teal blue, 23x20mm faceted rounded rectangle. Sold per pkg of 40. Bead, painted acrylic, semitransparent clear and gold, 23x20mm faceted rounded rectangle. Sold per pkg of 40. 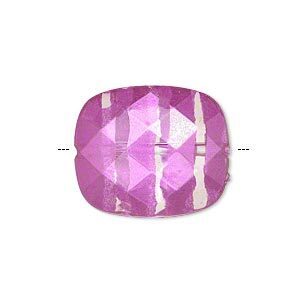 Bead, painted acrylic, semitransparent clear and pink, 23x20mm faceted rounded rectangle. Sold per pkg of 40. 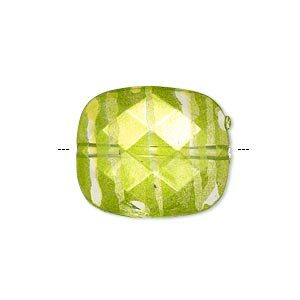 Bead, painted acrylic, semitransparent clear and lime green, 23x20mm faceted rounded rectangle. Sold per pkg of 40. 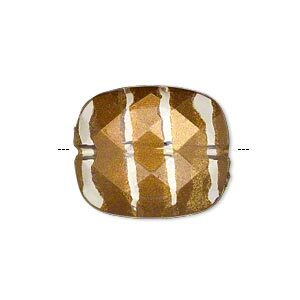 Bead, painted acrylic, semitransparent clear and brown, 23x20mm faceted rounded rectangle. Sold per pkg of 40. 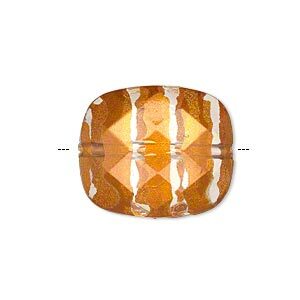 Bead, painted acrylic, semitransparent clear and orange, 23x20mm faceted rounded rectangle. Sold per pkg of 40. 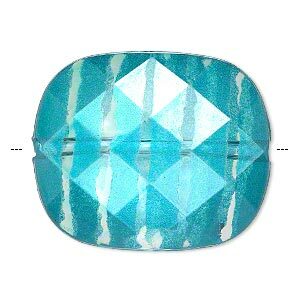 Bead, painted acrylic, semitransparent clear and teal blue, 34.5x29mm faceted rounded rectangle. Sold per pkg of 10. 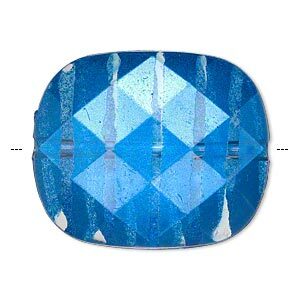 Bead, painted acrylic, semitransparent clear and blue, 34.5x29mm faceted rounded rectangle. Sold per pkg of 10. 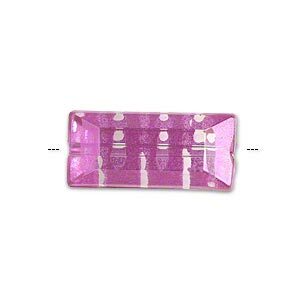 Bead, painted acrylic, semitransparent clear and pink, 25x11mm faceted rectangle. Sold per pkg of 40.